The Executive Mayor, Honorable Poppy Mpho Magongwa delivering her speech during the launch of the charter. 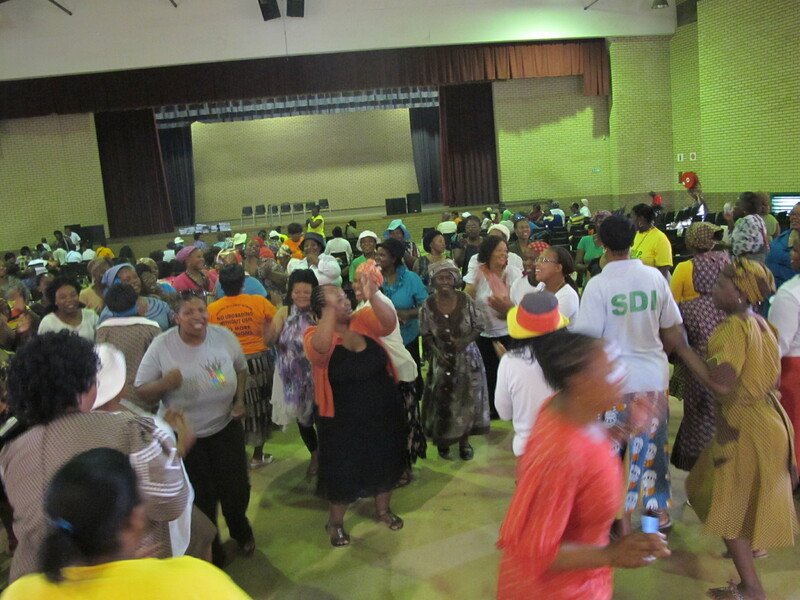 Once in 4 years the South African SDI Alliance holds a national forum, this year’s forum started from the 11th-14th November 2013, where more than 200 members of the ISN and FEDUP regional facilitators from all the provinces of South Africa were present. They discussed and shared experiences on income generation programs, savings, enumeration, profiling, informal settlement upgrading, land ownership and partnerships. The forum is an event where the alliance reports on its past achievements and challenges while the supporting NGO CORC (Community Organization Resource Center) uses this platform to understand the challenges faced by all regions on the ground. At the opening of the event Bunita Kohler the Managing Director of CORC emphasized accountability. She noted that both the ISN and FEDUP needed to be accountable to the communities and the NGO to the donors that assist in helping communities to ‘do it for themselves’. She further mentioned that projects such as sanitation facilities, houses, income generation loans and community savings are important to the movements to show other communities the possibilities of community driven projects. Patrick Magebhula the national leader of the ISN reiterated the position of ISN in relation to the difficulty faced by informal settlement residents in accessing basic services, houses and land. He mentioned that ownership of land in South Africa still needs to be addressed and hopes that the national forum will assist in exchanging lessons from other regions that have been able to fight evictions and access land. 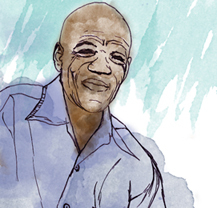 Communities without land will always remain in the cycle of poverty. They cannot plan for the future, as they do not know where they will be tomorrow. ISN and FEDUP have committed to a far-reaching agenda of working with communities in planning for their own development. This entails communities collecting information about themselves through profiling and enumeration, using the information to influence their plans, and asking for government assistance in supplying services. “ During the dawn of democracy a lot of civil organizations like SANCO fought to change the living conditions of poor people. When we started the Federation of Urban Poor called FEDUP we also wanted to contribute to the change. We realized that communities already had community committees, thus the ISN is made of leaders who are sensitive and have a vision to community development. The Federation knows that people do not have money to build houses but the question should be, how do we support people to do it themselves. The federation must continuously seek at making partnerships with government to open up doors for developments in poor communities. 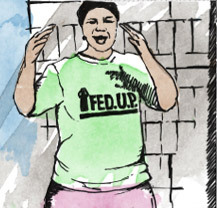 ISN and FEDUP are working with all levels of the government to give the urban poor a voice. The intention of organizing poor people is to be able to attract resources. The government has a responsibility and a house alone will not alleviate poverty. Through savings communities can build houses and pay for their household expenses. Regions such as the KwaZulu Natal network presented that they had 11271 members and have saved R716553.40 and Gauteng Network has 4993 members with R2664554.51 savings. During the launch of the ISN/ FEDUP charter Patrick requested the Executive mayor, honorable Poppy Mpho Magongwa and the Ward Councilor, Jack Sefudi of Madibeng Municipality to understand the value of community savings and community involvement in the planning process. This is to avoid community dissatisfaction. Lack of support from ward councilors because they think the alliance is politically aligned. Difficulty of implementing projects after enumeration when councilors are not involved from the onset. 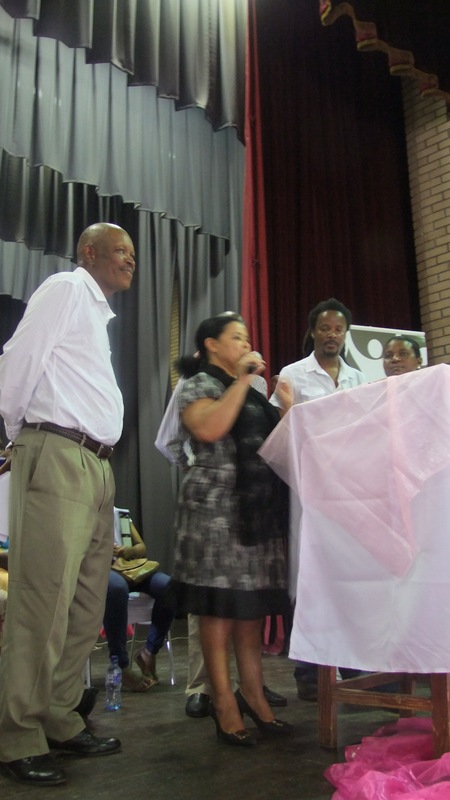 The Executive Mayor accepted the ISN/FEDUP charter and welcomed the alliance on behalf of the Madibeng municipality. She said that it was rare to be amongst community based organizations that do not ‘pay lip service’ to issues of community development, but ensure that they make it their concern to improve the well being of their fellow community members. She quoted the words of Archbishop Ndungane “ poverty does not wait for time or convenience, it strikes anytime, all the time and with full force for most households, and therefore, our response must be charged with a sense of urgency and determination.” She said that the municipality too has adopted methods of alleviating poverty such as applying labor-intensive approaches in project implementation to create employment opportunities. The mayor acknowledged the work of the federation by saying that the three pillars that FEDUP was based on (PEOPLE, MONEY, and INFORMATION) were vital for negotiating and lobbying for change. The municipality was aware of the different programs that FEDUP was involved in especially around Oukasie and surrounding areas such as Jericho and Maboloka. Programs that bring people together, teaching them to save money and improve their livelihoods. Such barriers would be difficult for the government to overcome if it did not work together with civil society and the sooner everyone understood that poverty is not ‘my problem or your problem but our problem’ it will be easy to win the fight and we have to be united. 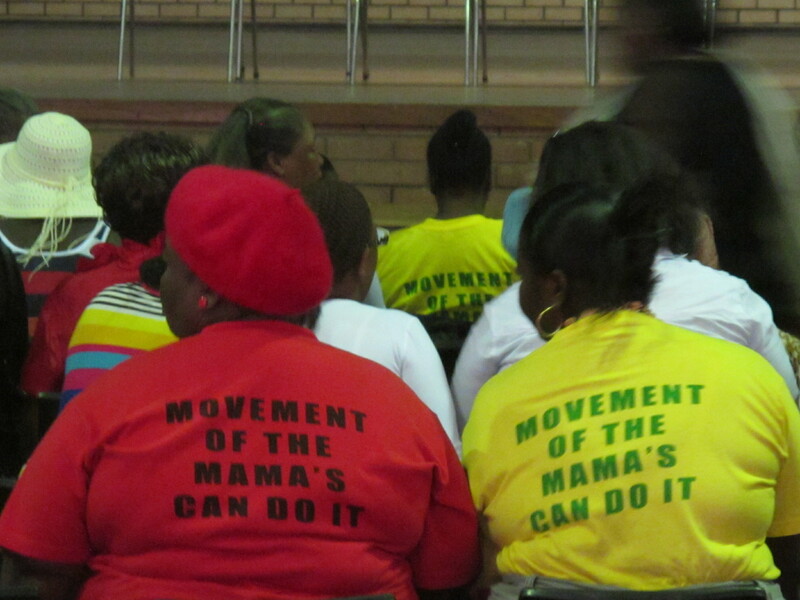 The mayor further regarded both education and land ownership as long-term strategies in fighting poverty. She urged the people to take education seriously because an educated nation automatically becomes enlightened and exposed to more opportunities. The government of South Africa has taken issues of land reform very seriously as there are policies in place to address this. In conclusion she said that the municipality of Madibeng is committed to poverty alleviation and will support FEDUP/ISN because the municipality wants to see real change in its communities.